MOSCOW, the Russian Federation, (BulgarianMilitary.com) – In the period between 12 and 16 November, a group of Russian inspectors is set to visit envisaged regions in Norway, Poland and Germany, in order to perform military activity assessments. This information was published today by the Russia’s Defence Ministry, referring to a statement made by the chief of Russia’s Nuclear Risk Reduction Cente, Sergei Ryzhkov, learned BulgarianMilitary.com. The current inspections are conducted under the Vienna Document agreement, which aims to implement confidence and security building measures between the participating states in the Organization for Security and Co-operation in Europe. The purpose of the Russia-led inspections is to determine the scale of military activity or to identify its absence, within the envisaged areas, concerning that both are subject to notification. 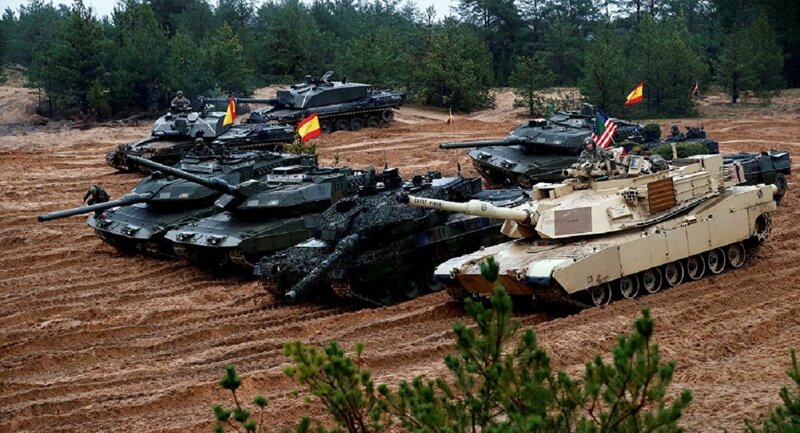 According to the official source, in the aforementioned period, the Russian experts are planned to visit training areas and polygons on the territory of the three NATO member states. There they will be informed about the military activities, formations and units in the regions, as well as about the exercises that are conducted in the same period of time, there. In Poland, the Russian inspectors will observe certain types of military activities within the large-scale NATO-led exercise Anakonda-2018. The Poland-based drill, which trains NATO troops to perform a strategic defensive operation in the event of conventional and hybrid threats, has started on 7 November and will be held in two phases, until 6 December. It involves participants from 10 countries. During their visit to Germany, the Russian experts will get detailed information on the ongoing NATO training – the Edelweiss 2018 and will inspect an area of about 12,000km². Furthermore, the Russian group plans to inspect and an area of near 16,000km² in Norway, by visiting the training areas and ranges within the Trident Juncture 2018 drills, which are held in the period from 25 October to 7 November. Under the Vienna Document, the OSCE (Organization for Security and Co-operation in Europe) participating states are obliged to provide each other with information related to their armed forces, defence planning and military budget details. The agreement is based on the exchange of military observers and carrying out inspections in order to be built confidence and security in Europe.